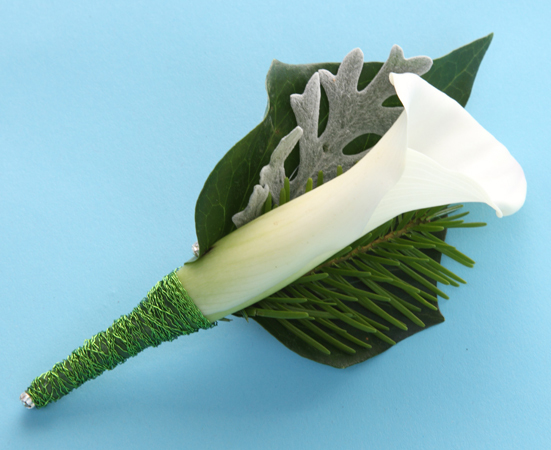 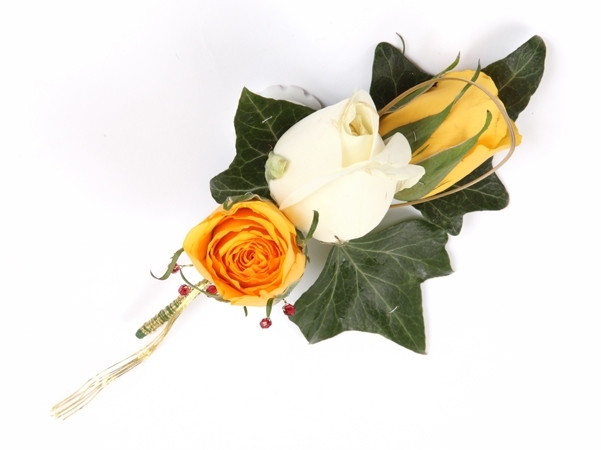 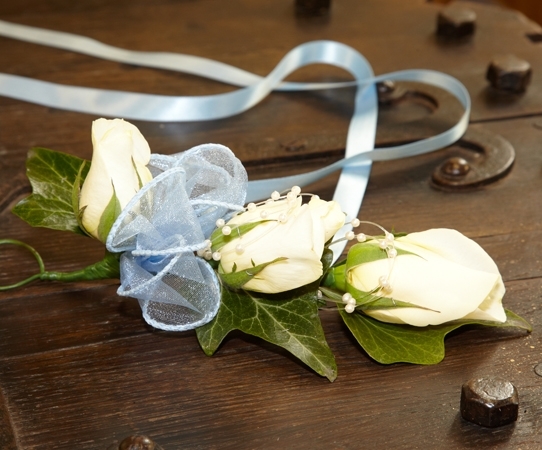 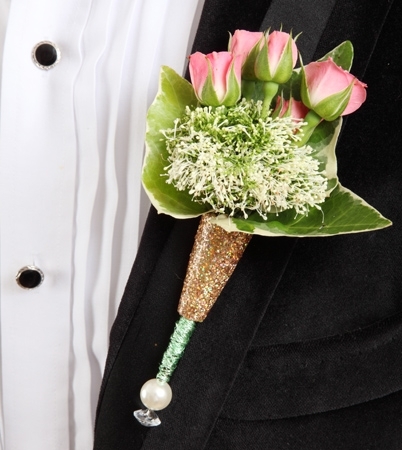 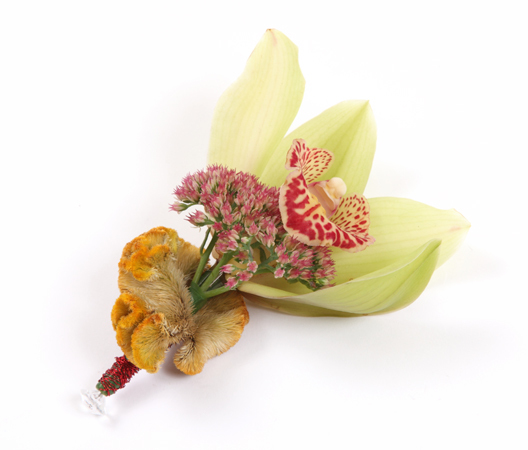 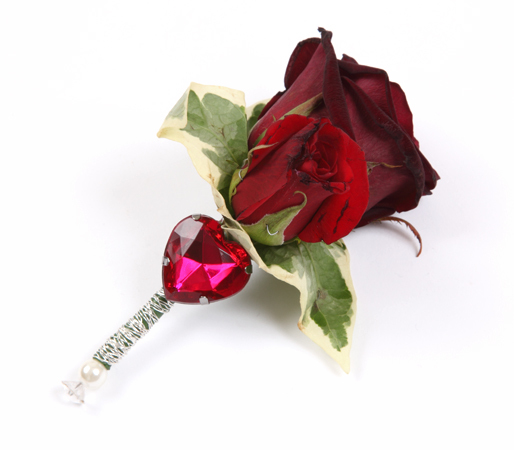 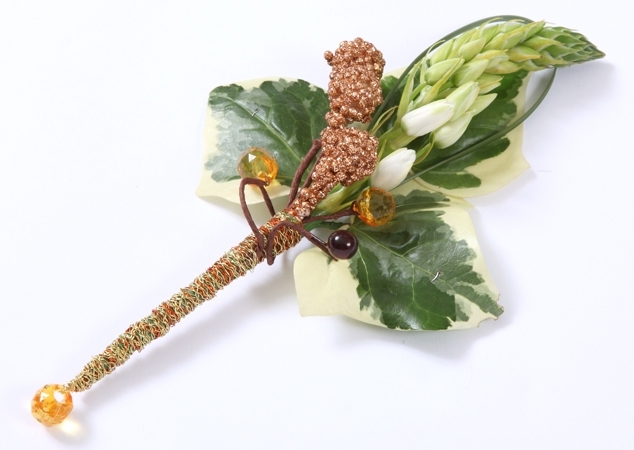 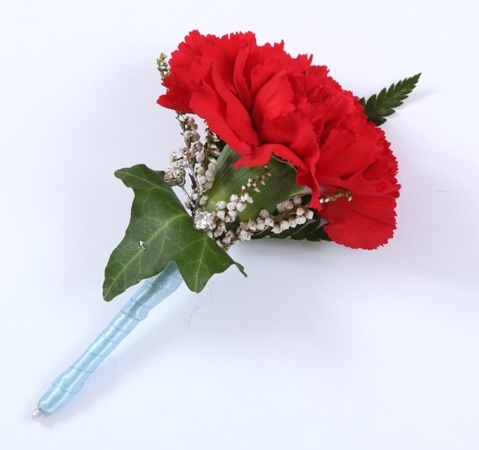 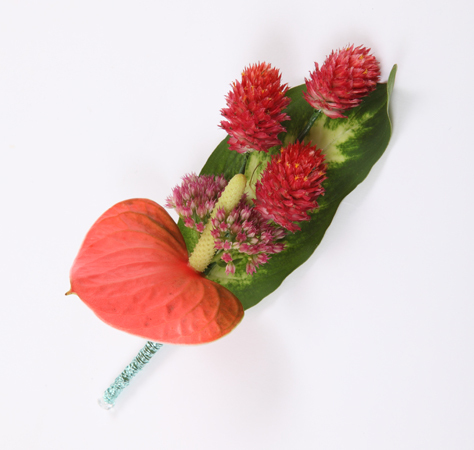 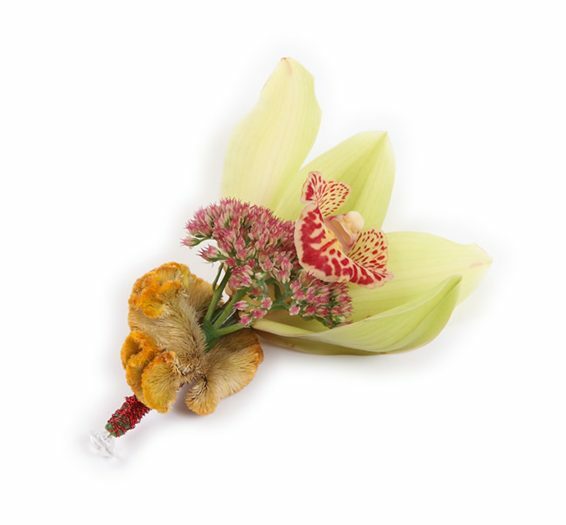 Dressed to impress, men should never be overlooked, certainly as much thought should go into the bridegroom’s boutonniere as the Bride’s Bouquet. 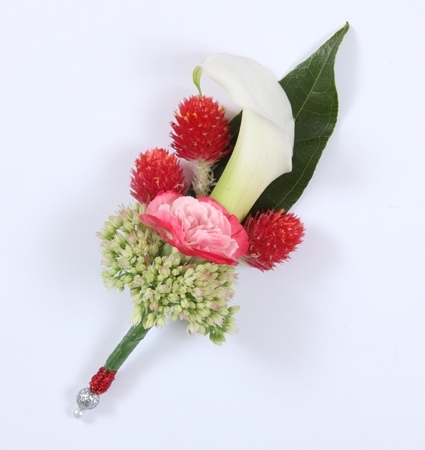 Often the flowers used will co-ordinate with those used in her Bouquet, but be daring, it is a special day! 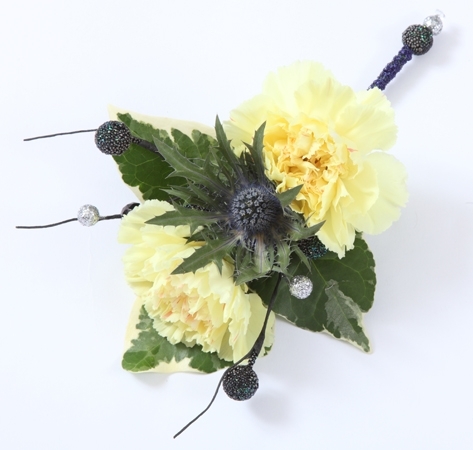 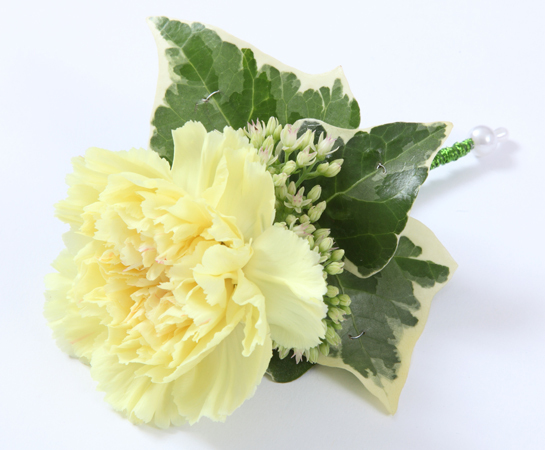 And of course, not forgetting the Bride and Groom’s mums, a delightful alternative or further addition to a corsage worn on the breast, is one sported on a clutch bag. 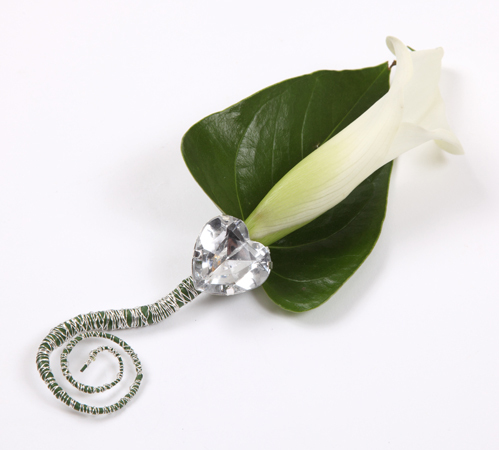 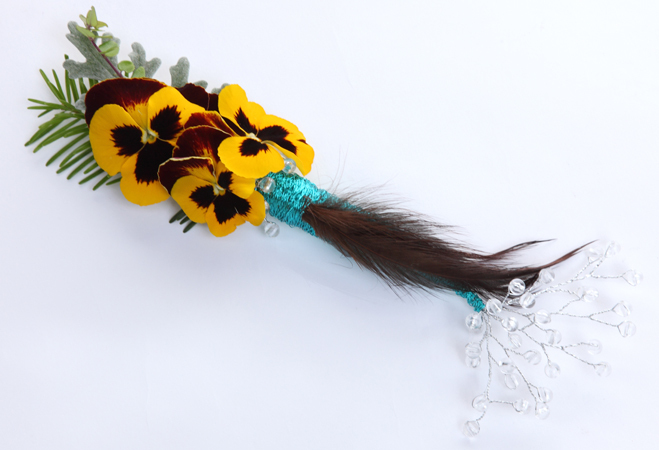 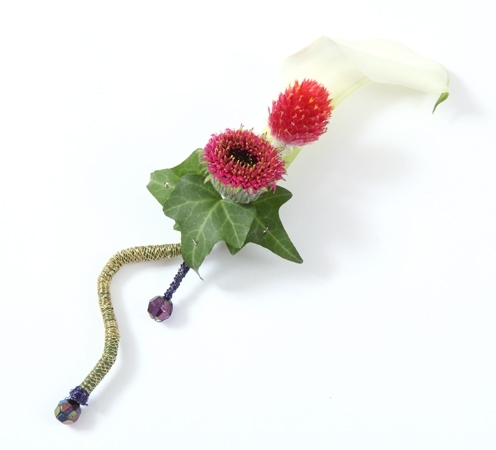 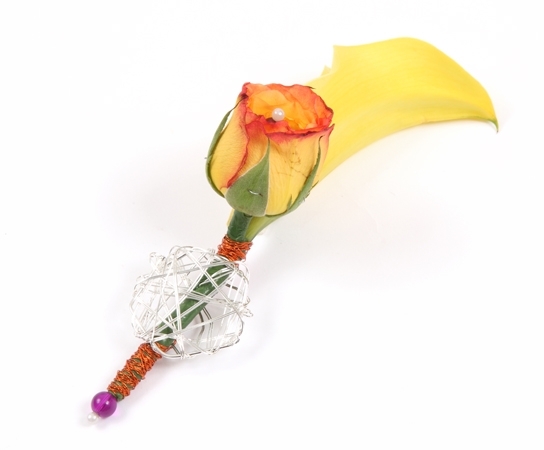 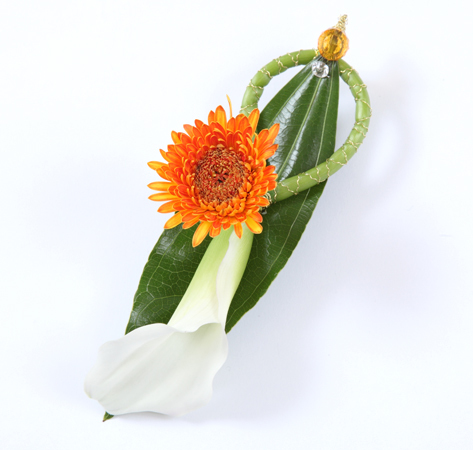 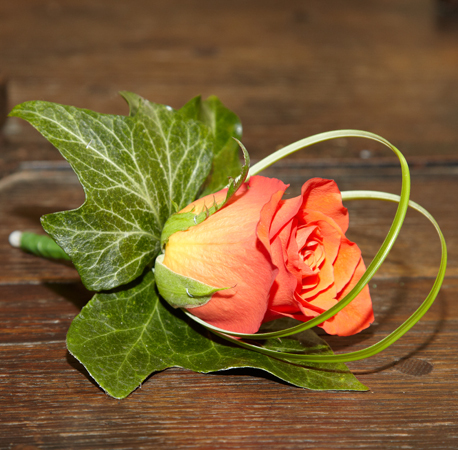 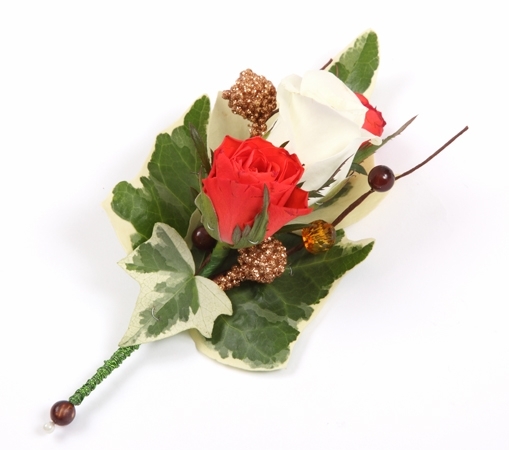 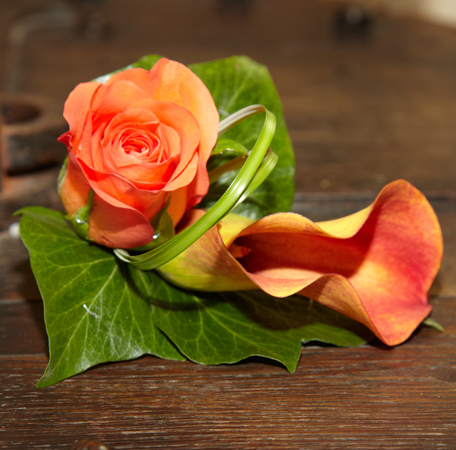 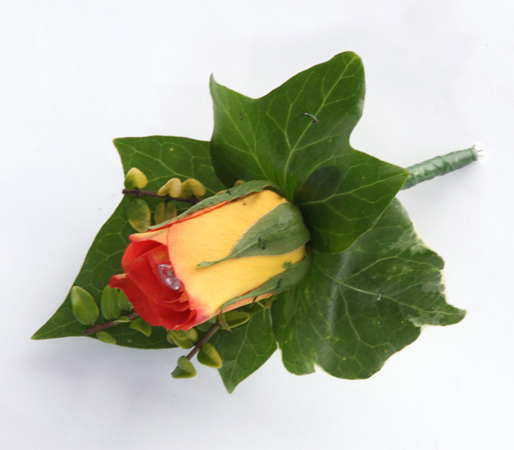 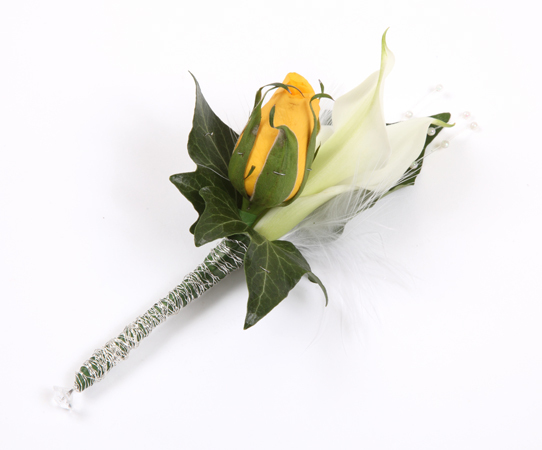 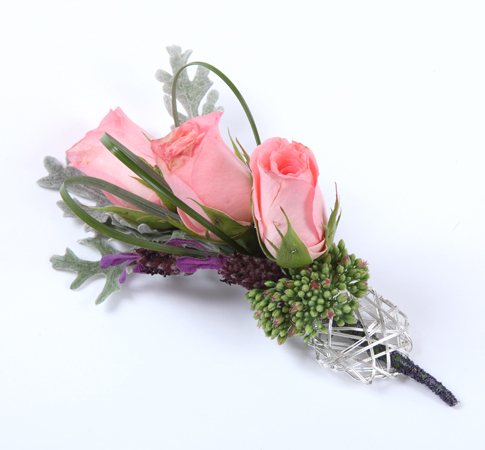 The designs are young at heart, fun and modern, or even a dainty wrist corsage, fascinator or fancy boutonniere.